You can dive all year round in Belize but the best time for diving is between April and June. This is also when the whale sharks arrive in Placencia in the south. The rainy season is from June to November, but showers are generally short and the visibility at offshore sites isn't usually affected. March, October and November can be windy. 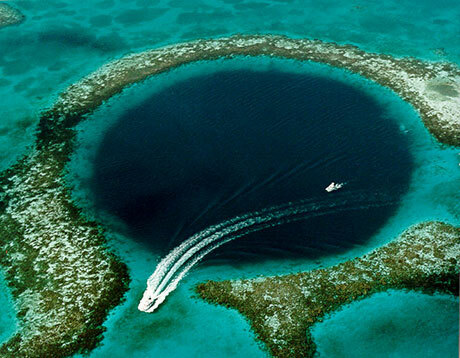 Belize's most famous dive site is the Blue Hole, currently ranked one of the world's best dives. However, some people think that Belize has other even better dives. Belize boasts the largest barrier reef in the Northern hemisphere, and the second largest reef system in the world1. It was inscribed as a UNESCO World Heritage Site in 1996 and comprises seven protected areas including Blue Hole, Half Moon Caye and Glover's Reef Marine Reserve, Laughing Bird Caye National Park and Sapodilla Cayes Marine Reserve. Outside of the reef complex the heritage site contains atolls like Turneffe Island and Lighthouse Reef (home of the Blue Hole). Over 1400 species of marine life live here, including endangered hawksbill turtles, manatees and six threatened species of shark. Belize Liveaboards - Find Offers. Belize's waters are warm, rarely dropping below 26 oC. 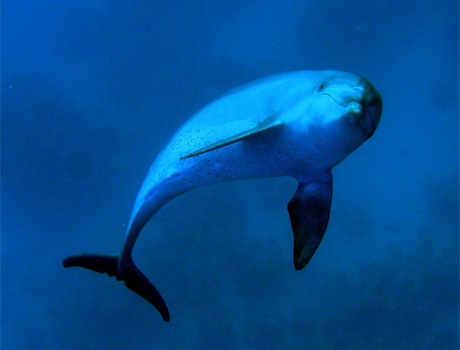 In 2018 the Belize government announced that it would ban oil activity to protect its barrier reef and marine species. This is the first time a developing country has taken such a step to ban offshore oil drilling. Although the local currency is Belize dollars, make sure you have 35 US dollars for the departure tax. One Belize dollar is pegged to 50 US cents, so 2 BZ$ = 1US$. Most places in Belize accept both Belize and US dollars. You can get Belize dollars before you go or via ATMs in Belize. Belize has a recompression chamber at the airport in San Pedro. It is on Radio Frequency 14.4600. How to dive the Blue Hole in Belize? One of the best ways to experience the dives around Belize, including the Blue Hole, is by liveaboard. Many shore-based dive operators also visit it though. 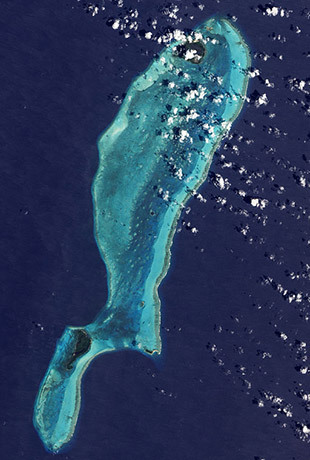 The Blue Hole is a sinkhole in Lighthouse Reef Atoll. There is one dive operator on Lighthouse Reef itself, which is reached by private boat leaving from Belize City. You can also reach it from, for example, Turneffe Island and Ambergris Cay. What diving qualifications do I need to dive the Blue Hole? Some dive operators will take you with just a PADI Open Water certificate or equivalent. We'd recommend getting at least PADI Advanced Open Water, and possibly, if you are in the PADI system, Deep Diver. Make sure you have adequate travel insurance which includes diving to 40 m.
" A great week aboard of the Belize Aggressor this last week. 5,5 days of diving, great food and great photos. For the price and proximity to the USA the price is really good and affordable. You can squeeze 26 dives on board, no time wasted on going around and great food. The blue hole was less than what I expected but people told me that but you have to go anyway." " A fantastic bucket list item, this dive was really interesting but not, in my opinion, the best dive in Belize by any means. There isn't much wildlife in the blue hole, which is made up for by the incredible underwater formations; even still, though, it's strange to dive without the fish around. You'll likely see some sharks, and the beauty of the rock formations itself is enough to make this worthwhile. Just make sure you do some other diving in Lighthouse Reef Atoll - that's the real magic!" "Ring coral reef surrounding a large hole. Dive 14 m to the edge of the hole and then drop straight down into the hole. Hole reaches 148 m but there is on overhead ledge at 25 m. Habitated by mako sharks and assorted large tropical fish. 75 oF at surface, 68 oF at 33 m."
"The Blue Hole is an amazing hole in the reef approx 2 hours away from Caye Caulker in Belize. It's 90 m in diameter and extremely deep. Once you have dived down approx 25 m, the hole opens up inside and there are amazing stalactites. The main life forms inside the hole are bull and lemon sharks." "Amazing dive...dropping down to 40 metres and swimming under the ridge between the rock formations while seeing sharks. Great dive! " "Incredible caverns with stalactites and stalagmites at 130 feet. Black tip reef sharks and hammerheads, plus many large groupers. " "Quick descent to 40 m then swim through staligmites. Look for schools of carribean reef sharks between 80-20ft on the ascent. " "Is there another sight like it? 100 ft visibility coming over the bathwater warm reef of vibrant colors, descending into a cool, deep blue hole where the water begins to waver and shimmer as you enter the transition from salt to fresh water at about 50 ft. Watching the enormous tuna and other pelagics dive into the hole to clean themselves as you briefly remove your octopus to taste the fresh water. Then descending another 70 feet to explore the stalagtites and stalagmites of ancient caverns and you come across a man sitting there drawing on a canvas. " "It's a 130 ft dive has stalagmites 12 ft. Sharks reef around with turtles. " "No [not the best dive in Belize]. The best dives are right on the same atoll - Lighthouse Reef. Other equally amazing dives are at southern end of the Turneffe Islands atoll at dive sites like the Elbow. Glovers Reef atoll has terrific diving too. For the barrier reef itself, the southern area is best especially at the largest marine reserve in Belize, South Water Caye Marine Reserve. Whale shark diving is available at Gladden Spit in the south during Springtime full moons. Now that is a truly amazing dive. Best diving in Belize? You'd have to put at least 5 locations on that list! " "Is it the best dive in Belize? It depends on what you think is a good dive. The Blue Hole is more a geological type dive. Stalactites and stalagmites. Kind of beginning cave diving. Not much life to see. And short bottom time because the caverns are deep. Not a beginner's dive at all. " The Blue Hole is in Lighthouse Reef. This is an atoll 45 miles east of Belize. "The diving of Lighthouse Reef absolutely held up to anywhere else I've been in the world. ."
"Unbelievable Coral, Mammoth pitchers, Whale Sharks even late in the season." "Just make sure you do some other diving in Lighthouse Reef Atoll - that's the real magic!" "Glover's Reef in Belize is beautiful and not as commercialised as the more dived northern atolls. I saw lots of macro life and also pelagics. I've heard of occasional hammerhead sightings but it's very rare. I wasn't so lucky. I did see nurse sharks and a bull shark. Also eagle rays, turtles and curious dolphins who came right up to us (face to face for a quick look) during a safety stop. The least expensive accommodation and diving I know of is on Tobacco Caye, a remote five acre island." "Long Caye Wall is a fantastic stretch of coral to the west of Long Caye in southern Lighthouse Reef Atoll, Belize. There are over 15 different dive sites within only a few hundred meters of each other, so you can dive the spectacular wall without seeing the same spots more than once "
"Dived the top of the wall during open water certification dives. Fantastic site, approached across sandy flats complete with garden eels and more. Huge coral formations rise above the top of the wall, plenty of Creole Wrasse, Nassau and Tiger Grouper, Barracuda, Stoplight parrotfish, Queen Angelfish and much more. Managed to miss an overflight of sea turtles on the first dive, as we were too busy taking in the sea life in the reef. 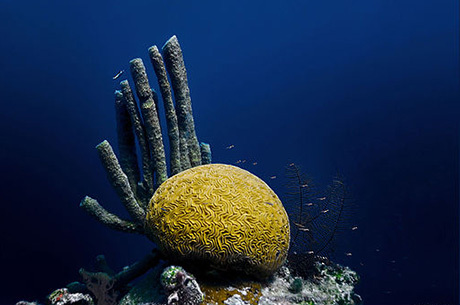 Wide variety of corals: Staghorn, Elkhorn, Brain coral and numerous sponges and sea fans." "Glovers Reef atoll has terrific diving "
" The Blue Hole was cool, but I liked the other 2 dives on our day trip out of Ambergris Caye better. Half Moon Caye Wall was just incredible and The Aquarium was also great, particularly on a sunny day!? " "Stunning and located just as far where we stayed (Itza Lodge on Long Caye) as the Long Caye Wall sites. Here you can dive sites like the Rollercoaster and Aquarium, with thousands of vibrantly-colored fish. " "Excellent visibility, coral of vibrant colours and many fish - located just off Half Moon Caye." This video shows what the diving is like at Spanish Bay, with identification of the underwater life you might see there. "Right in front of Ambergris Caye and not too far from Caye Caulker, protected from the deep blue by Turneffe Islands, lie the calm waters of Spanish Bay. Both wall and shallow part are teaming with life. Loads of varied species of: Gorgonians, Anemones, Sponges and Spaghetti Worms to name a few. Also you might encounter the occasional Eagle Ray, Nurse Shark or large friendly Groupers. Moray Eels, Turtles, Tarpon, Spotted Drums, Pederson Shrimps, Cleaner Shrimps, Arrowhead Crabs, Southern Sting Rays, Squid, French Angelfish are common sightings. That of course if you have a good eye and an experienced Diveleader. Had a great time with Black Durgon Dives on Caye Caulker." "60-80 ft dive has a wall reef on it." "Bottom half of an hour glass, full of sharks. Vis = 80 m, water temperature = 30 oC. " "Whale shark diving is available at Gladden Spit in the south during Springtime full moons. Now that is a truly amazing dive. " 2 NASA Earth Observatory (2009), Great Blue Hole, Belize. Accessed 2 December 2014. Compare Belize Liveaboards. Book now & pay later. 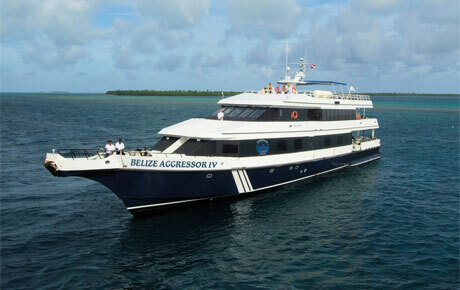 Belize liveaboards visit the Blue Hole and other dives on the Belize Barrier Reef. At 300 km this is second in length only to the Great Barrier Reef in Australia. Taking a liveaboard means that you can visit more remote areas of the reef. Most liveaboard trips last 8 days. The liveaboards depart from Belize City, 12 miles to the south of the international airport. In addition to the cost of a liveaboard you will need to pay park and port fees of 95 USD. Recommend a dive shop or list your diving company on this page. 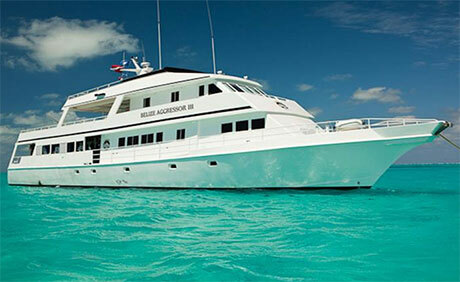 Diving on the liveaboard Belize Aggressor IV begins Sunday morning and ends Friday at lunch. All beverages, including beer and wine, are free of charge. Dinners are served each evening and include salads, vegetables, seafood, beef or chicken with a fresh homemade dessert. There are two complimentary transfers provided by the Belize Aggressor IV from the airport to Belize City at approximate 12 pm and 4:30 pm which may vary based on the flight arrival times. Ten cabins. "A great week aboard of the Belize Aggressor this last week. 5 days of diving, great food and great photos. For the price and proximity to the USA the price is really good and affordable. You can squeeze 26 dives on board, no time wasted on going around and great food. The blue hole was less than what I expected but people told me that but you have to go anyway." "This is a little private island in Belize, located 35 miles off the coast. We offer 7, 4 and 3 nights all-inclusive diving packages. The lodge is only 5-10 minutes away from the best dive sites, with a maximum of 22 divers per week. Our 7-night dive package includes 15 dives, a day trip to Lighthouse Reef Atoll and the Blue Hole, and one night dive." Based within the Lighthouse Reef Atoll, dive the Blue Hole and other Lighthouse Reef dive sites. Offer Blue Hole trips and others. "They listen! 'Chillax' is their motto. Been with them multiple times plan to continue. Excellent value for money. Upmost in making divers calm and comfortable unpretentiously. " "One and a half hours off the coast of Belize, from Dangriga. Would definitely dive with them again." "Had a great time with Black Durgon Dives on Caye Caulker. " "We stayed on Itza Lodge, the only resort on Belize's outermost atoll (Lighthouse Reef). It was a beautiful and comfortable resort on a small, totally isolated island - what more could you want? It's run by a great group of guys and great staff. We loved our Belize diving trip! Itza was the best bang for your buck we could find in Belize (and you get access to the BEST diving!) "
5th edition in paperback or ebook. The second is a series of three identification guides for the Caribbean. Please send us your comments on diving Belize. Do you want to recommend a dive shop or site? Get in touch.. Have a question - ask below or Tweet @SCUBANews.